TGP: GQ Special Correspondent and former MSNBC and ESPN host Keith Olbermann threatened to “get” President-Elect Donald Trump in a tweet posted Thursday morning. 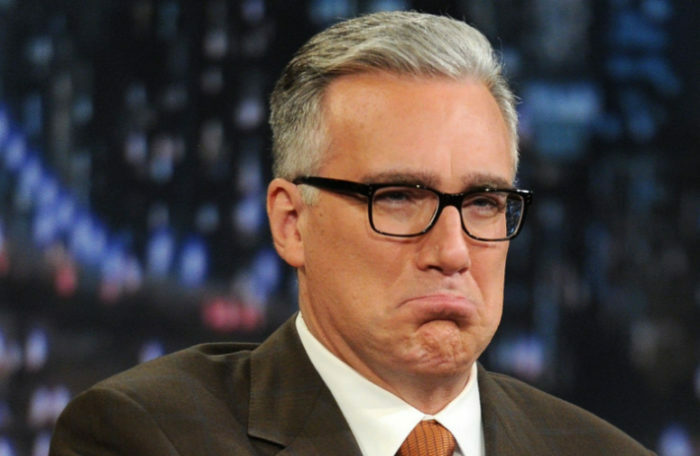 Olbermann also called Trump a “Russian whore”. Olbermann’s threat to “get” Trump was a reply to a tweet by Trump earlier Thursday questioning why the Obama administration did not do anything about the alleged Russian hacking. In previous tweets posted Wednesday and Thursday, Olbermann has called the election the “Trump Putin coup” and posted and re-posted an eight minute long GQ ‘Resistance’ video rant calling on the Electoral College to refuse to honor Trump’s November 8 victory. Olbermann called on Hillary Clinton to ask her electors to vote for a moderate Republican president instead as a way to persuade 38 Trump electors to switch votes and deny Trump the presidency.